Folding arm or retractable arm awnings can significantly increase undercover areas without the cost associated with building permanent structures. Designed to be fitted off an existing wall or roof and without unsightly supporting posts the folding arm awning is ideal for increasing the shading of that outdoor space. Simply open or close the awning to provide the required result. At the end of the day close it up and protect it. Folding arm awnings allow you to use different settings for different seasons. Fully retract them for maximum sunshine. Where provided you can adjust the angle of the awning to change lighting and space. Folding arm awnings are self-supporting, don’t require vertical support posts and fold away neatly. Operation is manual or automatic via gearbox or motorisation. Optional wind and sun sensor control can be provided. We can supply our folding arm or retractable arm awnings in a variety of materials and custom colours to suit your situation. Awning skins can be made from long lasting colour fast polyester/nylon blends, acrylic or canvas fabrics in either water resistant or water repellent grades. 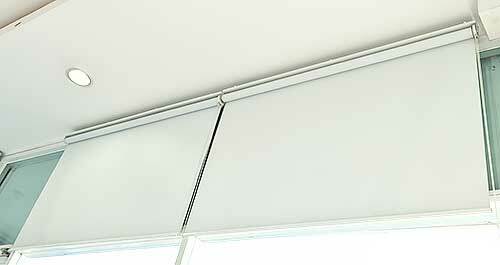 Folding arm or retractable arm awnings operation can be manual via crank operated gearbox or motorised. Motorisation is wired into one of the household 240v supply circuits. Operation is provided via a fixed control station or a hand held remote. Multiple folding arm or retractable awnings can be controlled through a single controller. The benefits of fitting retractable or folding arm awnings include cutting down the heat, reducing household bills, reducing fading on furniture and carpets, allowing windows to stay open in rainy weather as well as increasing privacy.